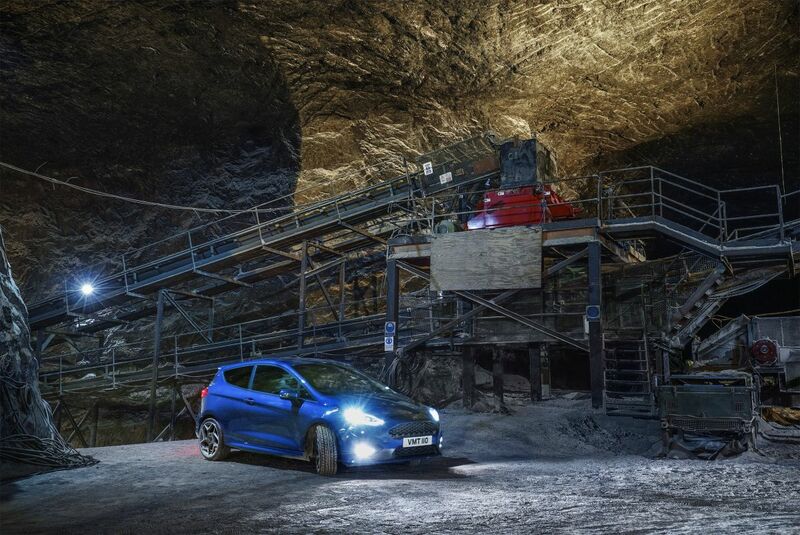 You are at:Home»Film»Ford Fiesta ST secret salt mine advert – is this deepest Carrick? 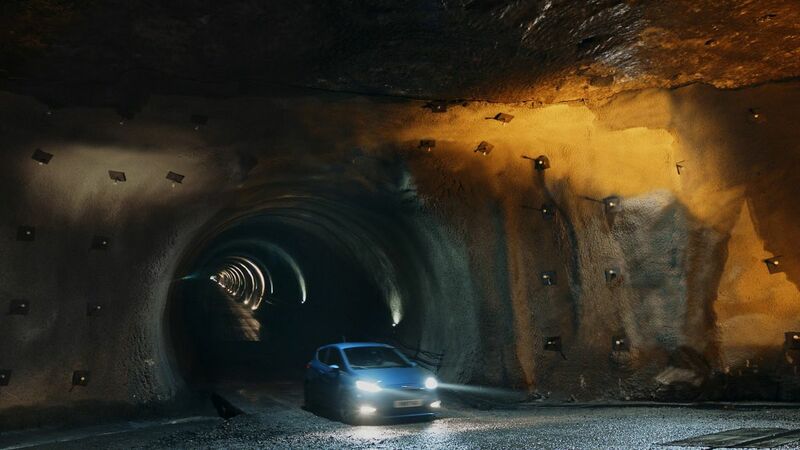 Ford unveiled a sensational new advert for the Fiesta ST this week, featuring World Rally Championship driver Elfyn Evans piloting the car at speed, 400m below ground in a salt mine. 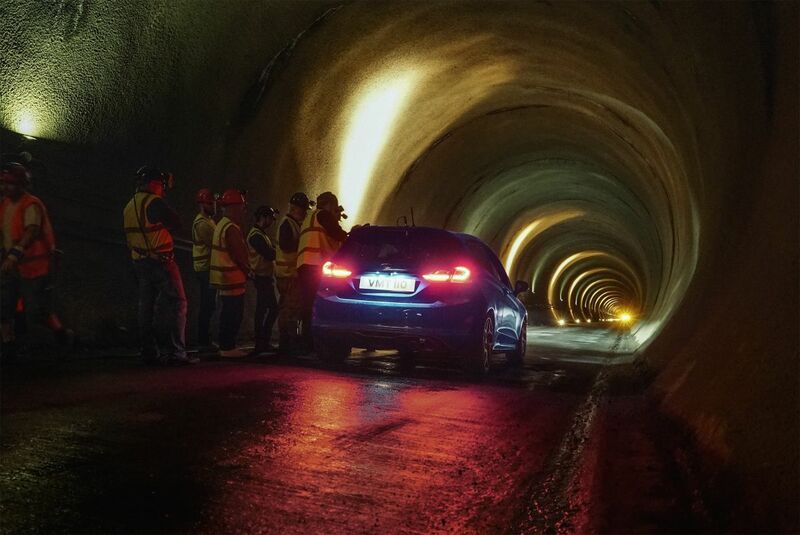 This advert, called “Undertrack “, is the latest instalment of the Greatest Driving Roads series of short films featuring the Blue Oval’s performance vehicles. Ford had previously taken the Ford GT, Focus RS and Mustang Convertible to some of the most stunning environments across the continent, including the Arctic Circle in Norway and the sunny climes of Mallorca. Ford has been tight-lipped about the whereabouts of this underground location, but is it, in fact, deepest, darkest Carrickfergus? 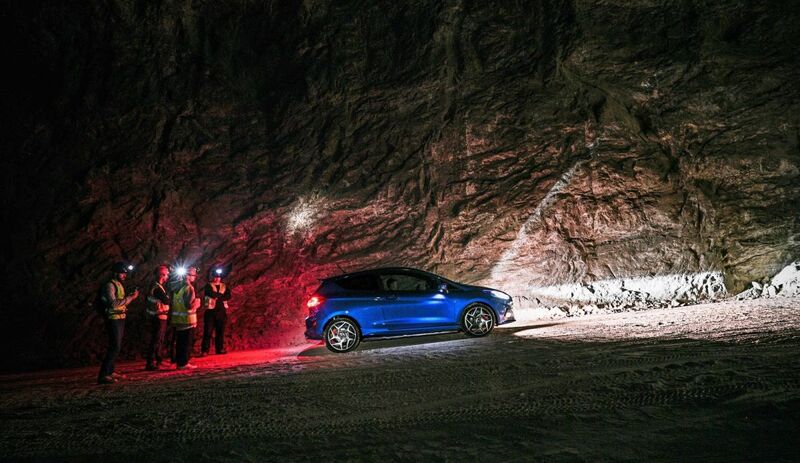 All Ford will say is that it was shot 400 metres below ground in one of Europe’s largest salt mines. The advert opens with a shot of the Fiesta ST on Oxford Street in Belfast City centre and includes footage of the car on the M3 flyover. This makes us believe that the incredible subterranean blast, through 60 kilometres of tunnels, took place at the Kilroot rock salt mine, near Carrickfergus. In the film, Elfyn Evans is seen at the wheel of the Fiesta ST slipping, sliding and jumping in the dirt. The sound of the zesty 1.5-litre EcoBoost engine is amplified by its surroundings as it tackles a high-speed drop through the narrow, entrance tunnel. 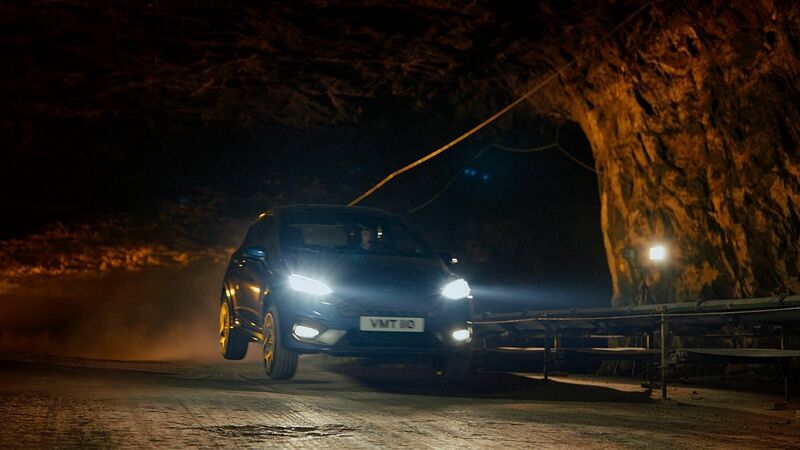 So is the advert shot in Belfast and a Kilroot salt mine? Watch the video below and make your own mind up! How does this effect the Fiesta's 3 year/36,000 mile anti-corrosion warranty? Plus how awesome do those caves look! Just about to say that. It's taking them back and forth to the surface that knackers them quickly. Never encountered the ones that are based purely underground, but the one I rode in wasn't very old and I wouldn't like to be poking too hard with a screwdriver! Never felt pure darkness like it standing at one of the working faces. Epic place. | Just about to say that. It's taking them back and forth to the surface that knackers them quickly. Never encountered the ones that are based purely underground, but the one I rode in wasn't very old and I wouldn't like to be poking too hard with a screwdriver! Never felt pure darkness like it standing at one of the working faces. Epic place. I’ve welded anodes underswater to protect their pier but that’s as close as I got to their mine(s). Was talking to the guy that maintains the Land Rovers, think that used to be the case when they stayed in the mines, but they come up to ground at the end of each shift now and arent lasting at all. They have archive document stores down there. the paper stays dry.